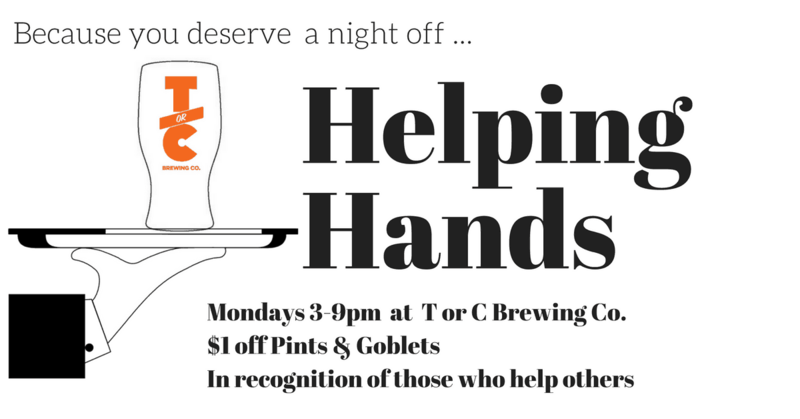 All Summer long, we’re recognizing Helping Hands in the community with a $1 off pints/goblets Mondays – all day long. Are you a Helping Hand? Tell your Bartender how you help and receive $1 off. Thank you (and cheers!) for all your hard work!